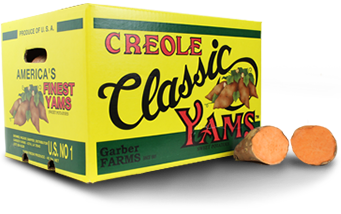 Our Creole Classic Yams are harvested right here in Louisiana on our family farm. These yams are have a distinct orange color and sweet flavor.Sweet potatoes are one of the healthiest foods you can eat, being called a "superfood" because it's packed with so many nutrients. 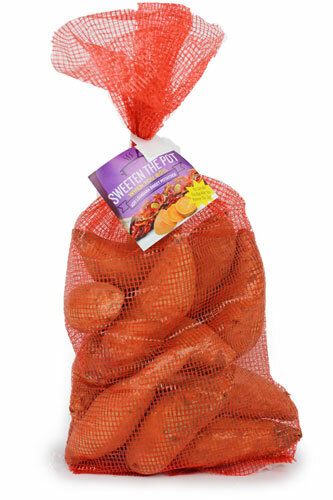 Any size sweet potato can be packed in these handy bags which hold a weight range of 2 to 8 lbs. 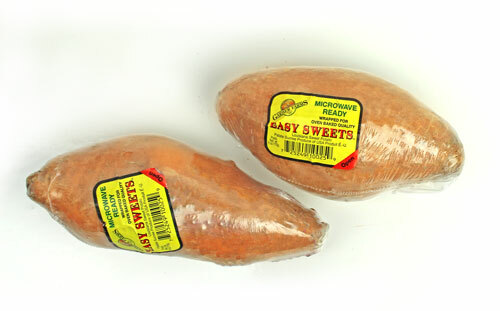 These individually wrapped sweet potatoes are ready to be microwaved for a freshly baked, sweet taste. 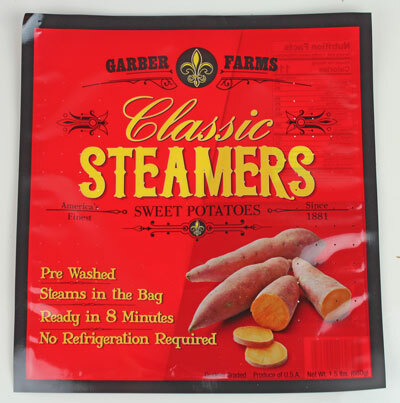 This is a quick and easy way to enjoy our Garber Farm's sweet potatoes. Directions: Place in microwave for 6 - 8 minutes. When finished let sit for 3 minutes then remove wrap and serve. 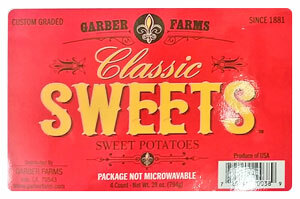 If the packaging wrap is torn it can be substituted with Saran (plastic) wrap. 1. Do not open or puncture the bag. Place in microwave. 3. Carefully cut open bag. Place in serving dish, season and enjoy! 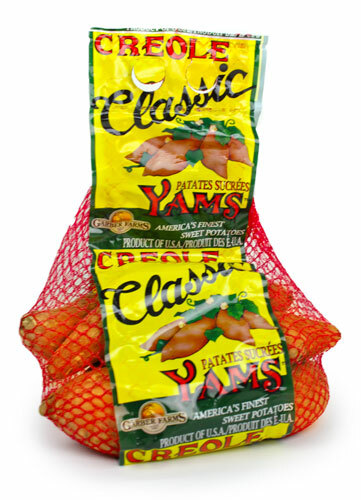 A handy pack of four sweet potatoes over-wrapped on a tray. A great option for quicker shopping and convenience. Ready for the grill! A pack of sweet potatoes wrapped in foil and overwrapped on a tray. Sweet potatoes cooked on a grill are a healthy, tasty addition to any meal. Cooking times depend on the size of the sweet potato and temperature of the grill. Cook until sweet potato is completely soft. The protective foil helps prevent overcooking. © 2017 Garber Farms. All Rights Reserved.